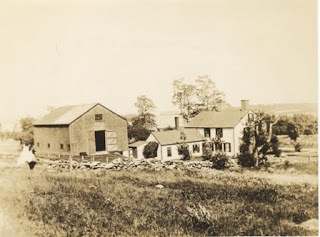 In 1917 my grandmother, Grace Ware Holbrook along with Mrs. Sarah Bradley Gamble decided to start a camp for rural girls - Green Mountain Camp in Dummerston, Vermont. 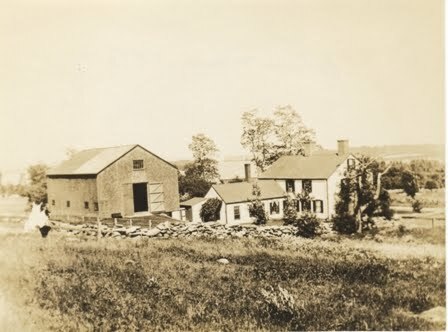 The first session in July 1917 was held in Marlboro, Vermont at South Pond and twelve girls enrolled for two weeks. In 1919 the camp moved to its present location on the West River (Loomis, Alice Crosby and Manix, Frances Walker, Editors, Dummerston, An 'Equivalent Lands' Town 1753 - 1986, p. 49, printed and binding by BookCrafters, Chelsea, Michigan. 1990). My grandmother left a diary that describes starting the camp and the first few years. Her first entry is dated January 3, 1918. I will transcribe her entry in a series of posts. January 3, 1918 - Boston, Mass. Last summer in July our camp was so successfull [sic] that I must tell about it from the beginning. In the spring the Bradleys came in to see us to tell of their plan of a camp for farmer's daughters in the neighborhood of Brattleboro. It was a feasible plan enough, provided there was a leader; Miss Olive Lesley, a Girl Scout leader advised us and offered to help in organizing forces with the result that she came to the camp itself as an adviser. We discussed the project in Brattleboro with the school supervisor, and decided upon the district south and southwest of the town as being the best ground to cover. The girls recommended by the supervisor of the towns of Vernon, Guilford, Green River, Grove, West Halifax, and Marlboro were candidates this time, and in the event of a successful camp, a larger group might gather for another year. First we visited the schools and talked with the teachers and the girls suggested - who were of uniform age - twelve to sixteen years. All were enthusiastic, and it remained only to convince the mothers and fathers of the plan in all its phases; and in time we visited all every the homes finding all the girls eager [to] join us. At South Pond on Ames Hill we collaborated with the Boy Scouts in fitting out the camp, and repairing the cottage, barn, and kitchen. The situation was ideal, that is - we were far from the inquisitive crowds, by being on Ames Hill - about eight miles from Brattleboro, and over a mile from the main road. This entrance road is rough, and apt to be very muddy as we found to our surprize [sic], even in midsummer. The woods are rather dense, of about thirty years growth and of great variety and interest. On approaching the pond along the road, the growth changes to grey birches with here and there beautiful white paper birches and evergreen trees. Amos Haskell was b.26 Mar 1787 to Eliphalet and Mary (Woodman) Haskell in New Gloucester, Cumberland County, Maine (Source: New Gloucester Vital Records). He m. 20 Jul 1810, Sarah "Sally" Johnson (Source: New Gloucester Vital Records), daughter of David and Jenny (Whitney) Johnson. Amos d. 22 Mar 1859 at age 72. Bible record for Amos and Sally (Johnson) Haskell. This page shows their marriage date and birth dates of their children. Amos and Sally are my 3rd great grandparents. They lived in New Gloucester, Cumberland County, Maine. Amos and Sally (I believe her real name is Sarah) are buried there in Lower Cemetery on Gloucester Hill Road. 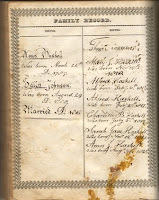 Haskell, Amos Family Bible Records, 1787 - 1850, The Holy Bible: Containing the Old & New Testaments: Translated Out Of Original Tongues The Former Translations Diligently Compared And Revised, With Marginal Notes And References Together With The Apocrypha. To Which Are Added An Index: And An Alphabetical Table Of All The Names In The Old And New Testaments, With Their Significations: With Plates. Lunenburg, Mass. : Edmund Cushing, 1828. Privately held by Owen Haskell [Address for Private Use]. 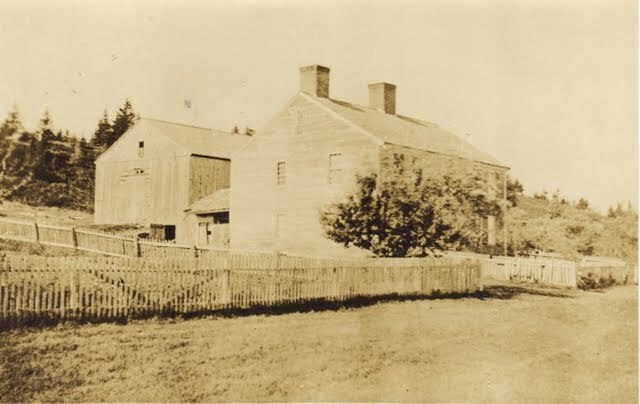 Here is another image of Gilman Manse, Yarmouth, Cumberland County, Maine. The text on back of this image says "this picture was taken some years previous to 1883". 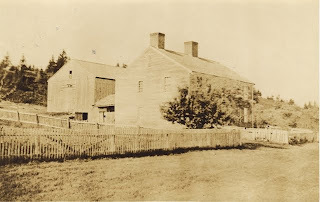 My grandmother's notes say that this house was built in 1771 by Parson Tristram Gilman, the 3rd minister of the First Church in North Yarmouth from 1769 - 1809. Parson Gilman was a graduate of Harvard and was ordained in 1769 at the Old Meeting House. He came from Exeter [New Hampshire] and was for 40 years a commanding influence in the parish. He brought up 9 children in this house. Photo of Gilman Manse, Yarmouth, Maine circa 1928 from my grandmother's binder titled "Yarmouth History". This photo appears to be a real estate advertisement photo from when my grandparents, Merrill and Grace Ware (Holbrook) Haskell purchased this house in 1928. I believe this house was built circa 1771 by Parson Tristram Gilman, 3rd Pastor of the First Church in North Yarmouth. I need to do further research to confirm the details. I have great memories of exploring the rooms, attic, basement and barn at this house. I also remember mowing the lawns for my grandfather while I was in high school in the early 1980's. The house has been sold several times since my grandfather's death in 1988. Welcome to my family history blog and my first blog post. I am looking forward to sharing my family history, research, artifacts and other genealogical information. I am a civil engineer and part owner of a civil engineering firm located in Gray, Maine. I enjoy several other hobbies, including genealogy, hiking, running, indoor rowing, canoeing, just about anything outdoors... I am also a member and current secretary of the Greater Portland Chapter of the Maine Genealogical Society. So here is a picture of my genealogy treasure desk that was built by my great-grandfather Nathaniel Edwin Merrill from Falmouth, Maine. This desk is now at my Dad's house and is packed full of my grandmother's genealogy research, photos and other cool stuff. I look forward to sharing as time permits. Enjoy!